It is believed that a true actor shines most in live theatrical performances. With that in mind, Cherry Jones, who has received five Tonys for her work in theatre, can be described as a true actress. She has had a career in acting for over three decades and in this time, has not only had roles acting in plays but has had appearances in movies and television shows as well. Some of which she has won awards for, to learn more about this prolific actress, keep reading. In the town of Paris in Tennessee, USA, Cherry Jones was born on the 21st of November 1956. The actress’ mother was a teacher of American Literature and her father worked as a florist. They were both very supportive of her decision to go into acting and showed their support by paying for her to attend the drama classes conducted by Ruby Krider, who was the local drama teacher. In 1978, Jones bagged a degree in Drama from Carnegie Mellon School of Drama in Pittsburg, Pennsylvania. During her time there, she worked with a theatre company called City Theatre. Cherry Jones’ first role in a play was in Good Doctor when she was eighteen. Her professional career as an actress, however, began in the theatre in the early 80s with her performance in the play The Philanthropist. She was also one of the founding members of the non-profit theatre American Repertory Theatre in Massachusetts. Her career grew rapidly as she started to bag roles in Broadway productions, her debut in Broadway was in the 1987 play, Stepping Out. Cherry Jones has performed in over twenty plays some of which include Macbeth (1988), Our Country’s Good (1991) in the role of Liz Morden for which she earned her first Tony nomination, The Night of the Iguana (1996), Pride’s Crossing (1997-98), A Moon for the Misbegotten (2000), Mrs. Warren’s Profession (2010), and The Glass Menagerie (2013-14 & 2017). Her portrayal of Amanda Wingfield in The Glass Menagerie earned her one award from the Outer Critics Circle and two nominations – Tony awards and one nod from the Oliver Awards. Her first Tony win was for her performance in the 1995 production of the play The Heiress. 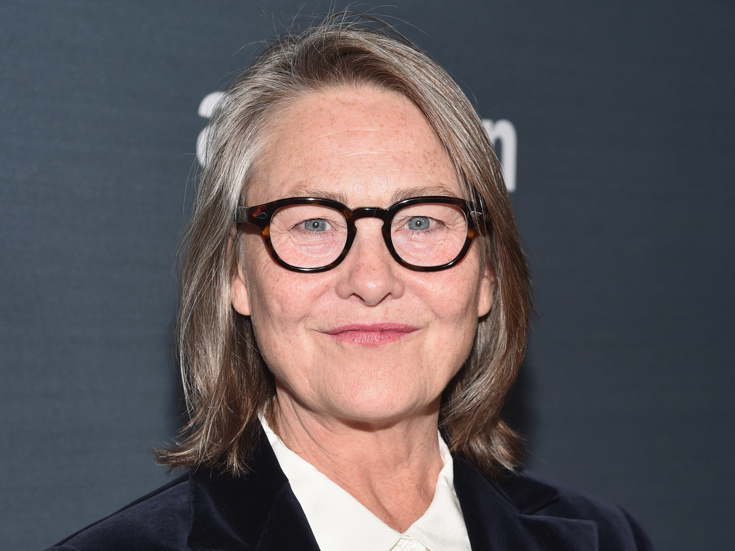 The talent of Cherry Jones is not limited to the theatre as she has had roles in movies and television shows. Jones’ first Emmy was for her performance in the television show, 24. She has also appeared in the science fiction anthology – Black Mirror and has had roles in the movies like New Year’s Eve, Signs, Ocean’s Twelve, Erin Brockovich, Mother and Child, among many others. A successful career that has lasted for more than thirty years is definitely going to make you rich, especially in the movie industry where excellence is rewarded with fame and wealth. Cherry Jones throughout her career has managed to present herself in the light of excellence and as a result of this, her net worth is currently $2 million. Cherry Jones has been openly gay for most of her career and is the first theatre actress to publicly thank her partner during an award ceremony. She did this in 1995 upon winning the Tony award for the best actress in a play. She had been with Mary O’Connor, an architect, at the time; their relationship lasted for 18 years before the pair decided to go their separate ways. 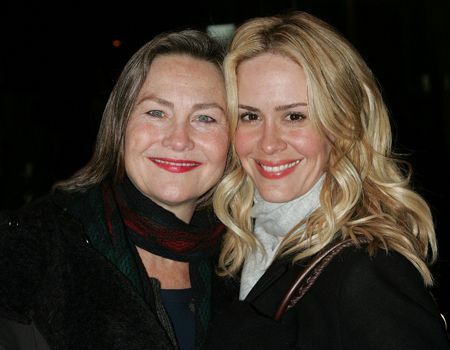 In 2004, she began a relationship with fellow actress, Sarah Paulson, but the relationship ended in 2009. In 2015, she got married to the filmmaker, actress, and director – Sophie Huber. Read Also: Is Ellen Page Gay or Lesbian, Who is The Wife, Partner or Girlfriend – Emma Portner? 1. As a result of her sexuality, Cherry Jones has always lent her voice to the LGBT community and her act of thanking her partner at the Tony awards in 1995, gave courage to other actresses to do the same. 2. Her contribution to theatre in America was recognized when she was inducted into the American Theatre Hall of Fame in 2014. 3. Cherry Jones has an expansive career in acting with roles in all form of visual media but she considers the theatre as her first love. 4. On playing the role of Amanda Wingfield for which she has received acclaim, she stated that she was reluctant to play that role, as well as the role of a married woman in any play.